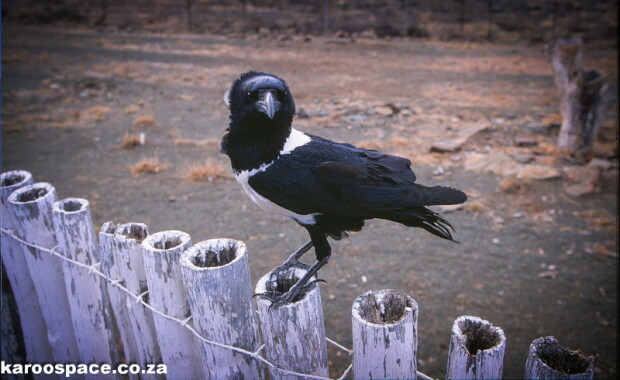 Pied crows, or Corvus albus, are a natural part of the landscape of southern Africa. They are bold, common, and familiar. But over recent years, especially in South Africa, there is evidence that there are many more of these birds. The increase is worrying some conservationists who fear it could be having a negative impact on the local biodiversity. These fears have some merit given that the species is known to predate on birds’ nests and young tortoises. Farmers are also concerned about the potential damage to sheep flocks because crows pluck out the eyes of the young lambs. Our research confirms that there has been an increase in pied crows in South Africa and quite dramatic changes in their centre of abundance. These changes vary throughout the country with large increases in the southwest but declines in the north and east of the country. Second, our results suggest that these changes are closely linked to climate change. 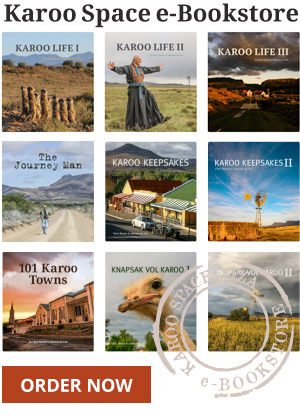 The Karoo ecoregions. 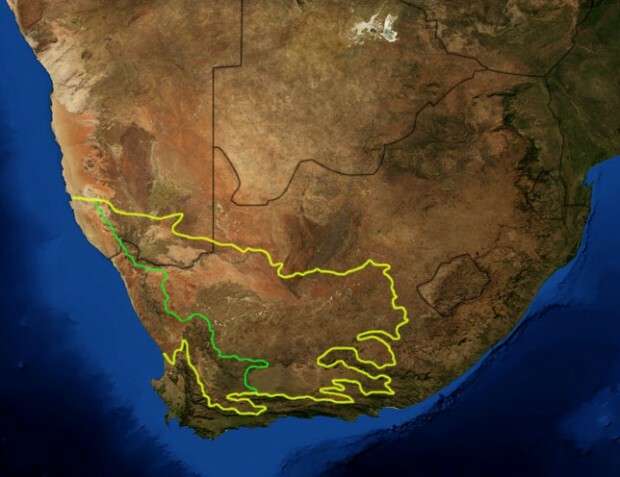 Yellow outlines the Great Karoo and green shows the borders of the Succulent Karoo. The Fynbos shrublands occur to the south and west. Map by Mark Wilby. Using data from two bird atlases carried out 20 years apart and linking these changes with information on the changing climate, we found that pied crows have increased mainly in the geographic areas of South Africa known as the Karoo and Fynbos shrublands which are distinctive types of vegetation of southwestern South Africa. This is where temperatures are warming. These biomes are relatively arid habitats consisting principally of short shrubs with very few natural trees. The decline in numbers in the northwest of the country is most likely related to climate cooling in this region. It appears that the crows are following a warming climate bubble into the southwest. Our research suggests pied crows have a preferred temperature range roughly equal to an average annual temperature of 19°C. We are approaching this in the southwest of South Africa at the moment, and the crows are loving it. 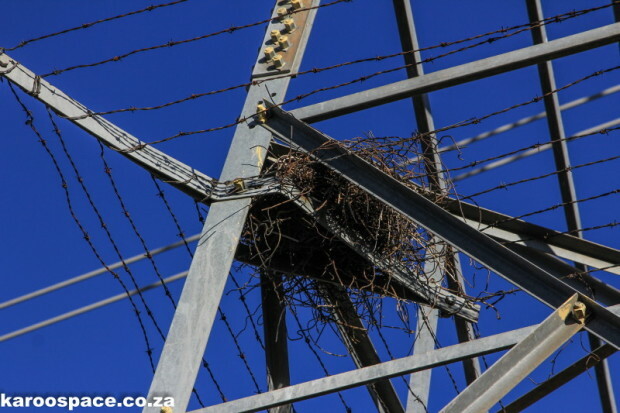 Powerlines have facilitated the increase of pied crows in the Karoo, but climate change has driven their soaring numbers. Our results also suggest that this shift has been aided by the presence of power line infrastructure. This has provided sites for crows to build their nests in what is otherwise a virtually treeless landscape. We conclude that while power lines have facilitated the increase of pied crows in the Karoo, climate change has driven their soaring numbers in these areas. 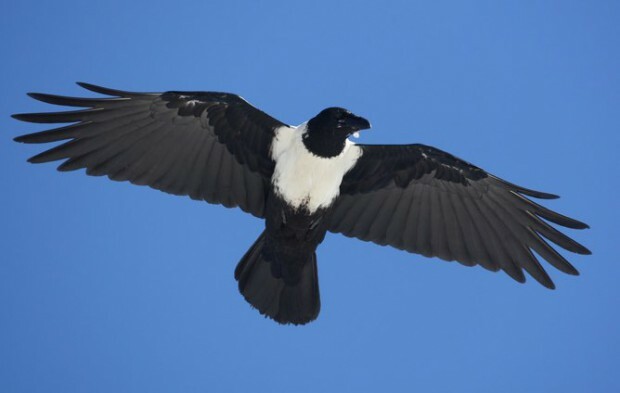 The combination of climate change and electrical infrastructure has created the “perfect storm” of conditions to favour an explosion of pied crow numbers in the shrublands of South Africa. Crows are big and obvious. Pied crows in particular are easy to identify with their white tank top plumage. These birds have had a bad rap globally. This dates back to mediaeval times when they were reviled as carrion birds on battlefields, or to superstitious associations of large, black birds with ill-omen or death. Their collective noun – a murder of crows – doesn’t exactly do much for their public image. Given all this history, it is perhaps understandable that people react emotionally when they see crows doing what crows do best: being predators. In South Africa pied crows are notorious, and viewed with great suspicion by urbanites and rural farmers alike. They are accused of such gory deeds as plucking the eyes from new born lambs, destroying the eggs of ground-nesting birds and decimating populations of tortoises. They’re also vilified for harassing other much more glamorous species, notably Verreaux’s eagles. Indeed these perceptions have led to calls for the control of pied crows by those who are worried about their negative impacts. Pied crows adapt easily to human settlements and structures. But these observations are not sufficient evidence to suggest that crows have an overwhelming negative impact on ecosystems. A recent scientific review suggests that in general, they don’t. The truth is that their role within ecosystems is not necessarily so straight forward. For example, they also eat other predators, such as small snakes which can be a major cause of nest failure in Karoo birds. Thus, increased numbers of pied crows certainly have the potential to change the balance of predator-prey interactions. Given the situation, it may be that pied crows are an example of the relatively new phenomenon of the native invader. These are species that occur naturally in one area, but whose numbers suddenly increase out of all proportion with their surrounding ecosystems, shifting the balance of nature in unpredictable ways. For a species to be considered a native invader in the truest sense it needs demonstrably to have a negative impact on other species. But while the pied crow clearly has such potential, we do not yet have the evidence to confirm they are causing declines of other species. Therefore, in assessing the pied crow “problem” we must be careful not to jump to conclusions. Throughout the world, animals and plants are responding to the changing climate by shifting their ranges, changing their behaviour and changing their abundance. But climate change is ongoing, and so these shifts may continue to change over time. It is likely that we are not stepping into a new stable state but rather witnessing one step in a continual transition as species adjust or fail to adjust to conditions that are in a state of flux. What happens next is uncertain. 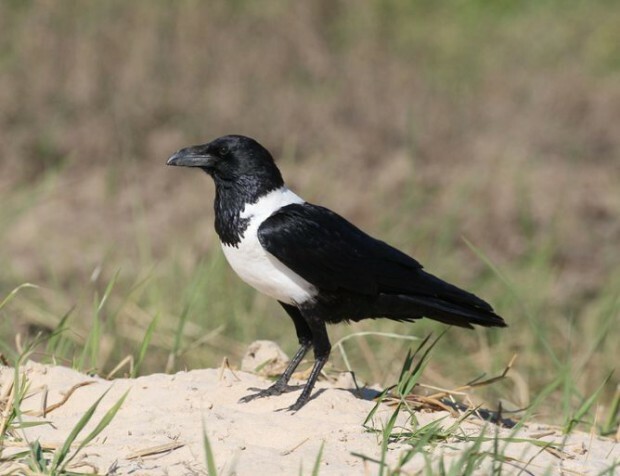 As warming continues, will pied crow numbers in the south west of South Africa again subside? Or will they adapt to their new conditions? Either way, it is still unclear what the legacy of the “pied crow invasion” will be.